Wastewater treatment plants and private FOG collection operators have a grease receiving system to take in trash laden grease from restaurants for use in anaerobic digestors or recycling. The FOG Heavy Object Trap (HOT) makes it quick and easy to screen out debris from grease and septage haulers. The Heavy Object Trap’s perforated capture basket will stop rocks, rags, knives, and other trash as the trucks unload, thus preventing damage to downstream equipment. 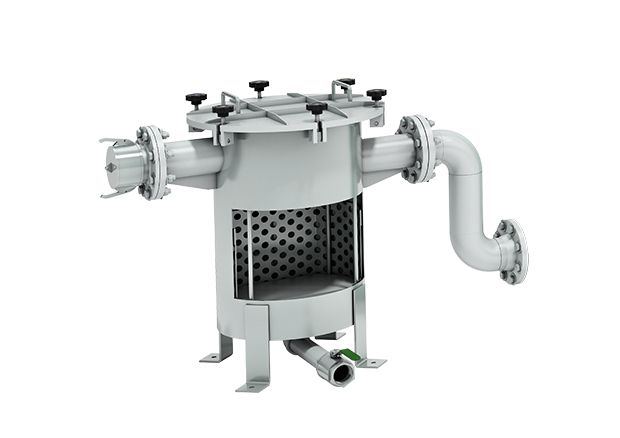 This grease receiving system includes a Monster Industrial grinder which homogenizes the liquid grease – breaking clumps into an easy to pump slurry. Once unloading is complete a hot water washdown (supplied by others) is used to flush debris off the capture bars and into the perforated basket below. The truck driver or plant operator can then open the quick release lid and empty the debris from the perforated basket.